In today's world, a Master's degree and proficiency in English are run of the mill. A master's is an “ordinary” qualification. There's no need to go abroad just to study for a master's. Student mobility should be an opportunity to supplement knowledge, learn a new language, discover up and coming technologies, obtain high quality training and above all, offer cultural diversity to future managers. "n+i" is the best way to prepare to play a key role in a global world. The Network "n+i", the largest engineering school network in France, is for those who are aiming for such a career. 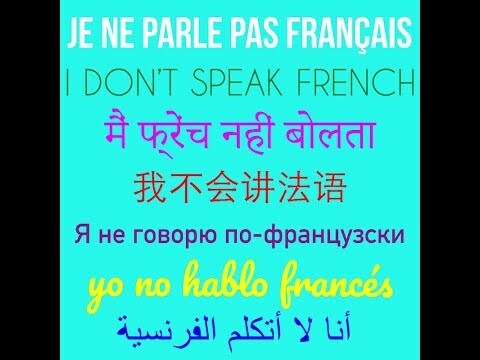 French is the fifth most spoken language with 274 million speakers in the world and by 57 member countries of l’Organisation Internationale de la Francophonie (OIF). France, the fifth largest economy in the world, plays a major role in the European Union and in the world as a whole, especially in the 57 French-speaking countries members of the Francophonie network. France, the fifth largest economy in the world, plays a major role in the European Union and in the world as a whole. For several decades now, France has been at the forefront of technological prowess in all sectors: (Danone), automobile (Renault, Michelin), aerospace(Airbus, Dassault), Electronic (Thalès, Thomson). France is recognised for the excellence of the training offered in its high-standing postgraduate Engineering Institutes (Grandes Ecoles d’ingénieur), as these combine solid scientific background with practical engineering experience. The role played by companies during student training contributes to preparing engineers for the workplace by introducing them to real life conditions through internships and projects. France's particularly rich cultural heritage is renowned throughout the world. This is an opportunity to visit famous landmarks such as Paris, Versailles, Mont Saint-Michel, chateaux etc., not to mention the culture, architecture and traditions, museums and lifestyle (cuisine, fashion, bistrots) of provincial France. To come to France is to come to Europe. Travel to 26 countries members of of the Schengen area (European area of free movement without border controls) for leisure, study, work, or interning. Engineering institutes members of Network “n+i” train engineers in all areas of engineering sciences in which France has demonstrated a long history of research and training and offers job opportunities in international firms. "n+ i" thematic area profiles summarize the context, the challenges and the working environment for each of this fields of excellence and give the main points to guide student’s choice towards engineering studies in France. Keywords associated as well as the list of “n+i” engineering institutes related to the topic should facilitate the search for a specific programme. The aerospace expertise of French companies is widely recognized worldwide, with exports making up nearly 75% of their sales. French aeronautics industry flagships include prestigious planes such as Airbus, Mirage 2000, Rafale and Falcon. France’s modern and productive agricultural sector ranks first in Europe, contributing 18% of the continent’s output and 4% of French GDP. A net exporter of food products, France runs a 12 billion- euro trade agricultural surplus. Famous French architects include Le Corbusier, Hector Guimard as well as Christian de Portzamparc and Jean Nouvel; both of the latter are winners of the Pritzker Prize (often referred to as the Nobel Prize of architecture) respectively in 1994 and 2008. The French automobile industry is one of the largest in Europe and in the world, with more than 60 manufacturing and assembly sites on every continent. This industry is lead by french companies as group PSA (Peugeot, Citroën and DS associated with Chinese Dongfeng) and the Renault group (Renault alliance, Nissan, Dacia and AvtoVAZ) or Michelin. Driven by world-renowned companies (Air Liquide, Total, Saint-Gobain, Arkema, Sanofi, Michelin, Roquette, etc. ), the French chemical industry (including the pharmaceutical sector) ranks fifth in the world behind the United States, Japan, Germany and China. France’s highly skilled civil engineering sector ranks among the best in the world, as evidenced by the many innovative projects completed by French companies across the globe. Many French multinational corporations, such as Vinci (Eurovia, Freyssinet), Bouygues, Colas, Eiffage, etc. are involved in construction projects worldwide. French companies such as Arcelor Mittal, Air Liquide, Saint-Gobain, Lafarge, Rhodia, Michelin and Eramet are global leaders in the materials industry (steel, gas, glass, concrete, plaster, cement, plastics, rubber, composites, etc.). France is the 8th largest electricity producer in the world. French companies such as ENGIE, EDF (Electricité de France), Alstom, Areva, Legrand, Schlumberger, Schneider, etc. are worldwide leaders in the electricity market. Thanks to its numerous worldwide operating companies such as Renault, PSA Peugeot Citroën, Thales, Alstom, Safran, Airbus, Lohr Industrie, Poclain, etc. France ranks 6th in the world in terms of turnover, 41% of which is generated by export sales. Water: a major challenge for the 21st century! With companies like Veolia, Degrémont and GDF Suez, France is a world leader in water management and sanitation. With world leaders such as “Suez Environnement” and Veolia, France actively contributes to research and development activities in green technology, waste recovery, hazard and pollution prevention as well as waste treatment and monitoring. The computer industry is a specific branch of the French economy with large corporations such as Dassault Systèmes, Atos, Capgemini-Sogeti, Steria, GFI, Sopra, Bull, Neurones, Altran, Alten, etc. France boasts a centuries-old tradition of outstanding contributions to mathematics, as evidenced by the many international prizes awarded to French mathematicians. Since 1950, France has been standing out with 14 Fields medallists, making it the most rewarded country alongside the United States. Along with mathematics, physics has been an area of French expertise and outstanding contribution, as is reflected in the twelve Nobel prizes awarded to French physicists. French physics research plays a major role in large research infrastructures dedicated to astronomy, nuclear power, physical oceanography, aeronautics, etc. French companies such as Orange, Bouygues, SFR and Free are operating in more than 75 countries and offer advanced telecommunication systems: fiber optics, cellular telephone services, high-speed internet, etc. France has an extremely extensive transportation network: highways, railroads, sea transport and public transit (buses, tramways, metros). Its expertise is recognized worldwide, as evidenced by French world leaders such as Alstom, Veolia, Systra, EGIS Rail, SNCF, Air France-KLM, Airbus or Aéroports de Paris.